Abiding by the ethical norms & standards of the organization, we have been able to provide the customers with a commendable assortment of Sticker Labeling Machine. Our assortment comprises Sticker Labeling Machine, Cosmetics Sticker Labeling Machines, Bar Code Sticker Labeling Machine and many more. The offered range is manufactured in strict accordance with the global quality standards by employing superior-grade components, which are sourced from the coherent vendors of the market. Owing to the qualitative fabrication, our range is applauded for varied attributes such as easy operation, excellent performance and low maintenance. Being a client centric organization, we are engaged in manufacturing, supplying and exporting a comprehensive assortment of Cosmetics Sticker Labeling Machines. Developed in compliance with the established quality standards, the range is featured with the latest digital servo technology for improved accuracy. Also, the range is equipped with spring-loaded twin worm system for eliminating the use of tools. 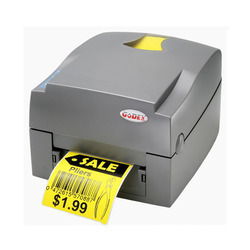 Over the years of experience in the industry, we have been able to provide the customers with a comprehensive assortment of Automatic Sticker Labeling Machine. Designed using superior-grade alloys and carbon steel, the range strictly complies with the international quality norms & standards. With firm commitment to quality, we are engaged in manufacturing, supplying and exporting a comprehensive assortment of Bar Code Sticker Labeling Machine. The machines by us are manufactured under the strict supervision of expert professionals by employing superior-grade components, which are sourced from the reputed vendors of the market. In order to cater to the diverse requirements of honorable clients, we are able to offer Pharmaceutical Sticker Labeling Machines. 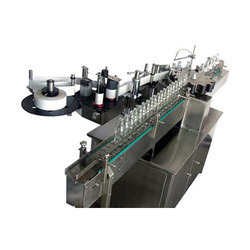 The offered range of pharmaceutical sticker labeling machines is known to operate on speed ranging from 100 - 200 - 300 containers/min. Along with this, the offered range is best suited for exact labeling on a single side or double side at the same time on any shape & size of containers. To enable a number of size of label application on either side, two label dispensers works independently. 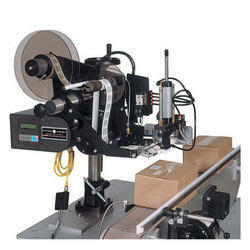 We are a renowned firm, which is engaged in delivering Sticker Labelling Machines to respectable clients. 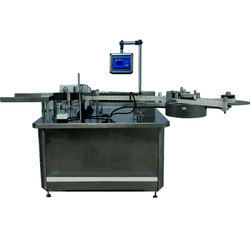 The offered range possesses dispensing units that are used as front and back label applicator. 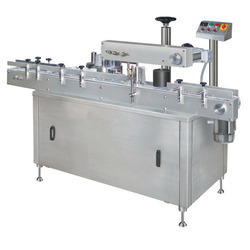 Along with this, the offered range of sticker labeling machines is best suited for implementing self-adhesive sticker label on both rounds as well as flat bottle automatically. We are engaged in manufacturing product range for packaging industries that comprise Auto Cardboard Box Labeling Machines. 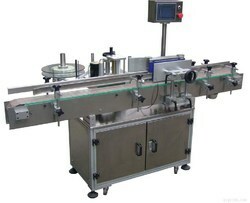 These labeling machines can perform single side and dual side labeling. 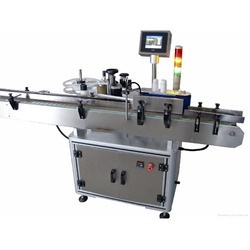 The offered range of pharmaceutical sticker labeling machines is known to operate on speed ranging from 100 - 200 - 300 containers/min. Owing to the immense experience and a competent team of experts, we are able to offer High-Speed Labeling Machines to respectable clients. 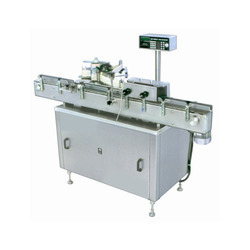 This high speed labeling machines offered by us are made a utilizing high-grade raw material, which is sourced from trustworthy vendors of the market. In addition to this, the offered range is ideally utilized for packaging process in different industrial sectors.